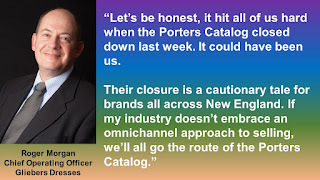 One might think that the closing of the Porters Catalog (an apparel catalog brand synonymous with New England for forty years) would send shock waves through the Executive Team at Gliebers Dresses. Roger Morgan will make a critical distinction (to him). He'll say that the Porters Catalog was just that ... a catalog ... while Gliebers Dresses is so much more. He'll be the first to tell you that Gliebers Dresses is an "omnichannel brand that mails catalogs". He believes that Gliebers Dresses made it out of the forest, and are now charting their own path. Pepper Morgan Pressley (Chief Marketing Officer) thinks that's a heaping cup of nonsense. 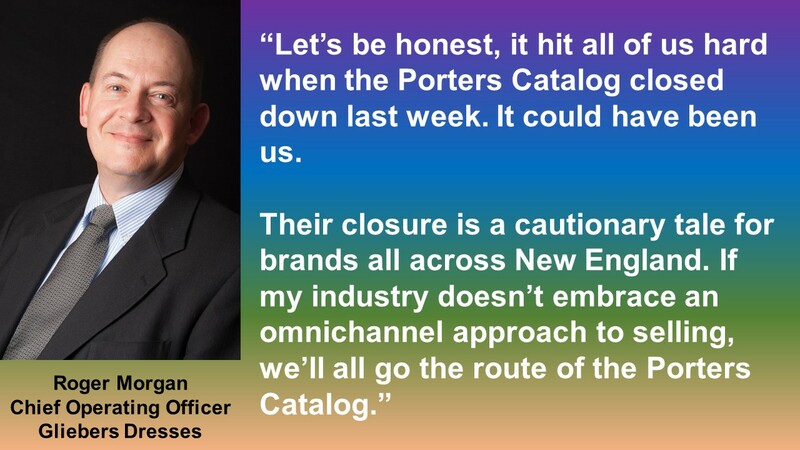 "When a catalog brand goes out of their way to tell you that they have changed and they are no longer a catalog brand, rest assured that they are a pure catalog brand. Just because you pay affiliates and Google and Facebook money and just because you send six emails blasts a week and just because you send triggered cart abandonment emails doesn't mean you are no longer a catalog brand. 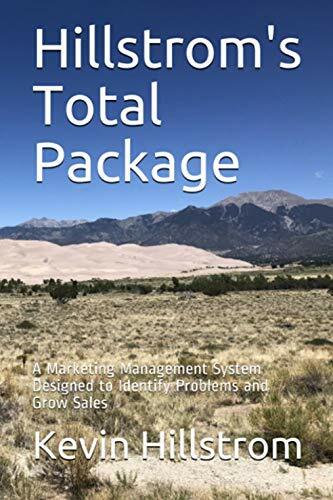 If your internal processes are dependent upon a nine month catalog planning calendar, you are a catalog brand. If more than 30% of your new names come from the catalog co-ops, you are a catalog brand. If more than 60% of your marketing budget is paid to paper reps, printers, and USPS postage, you are a catalog brand. We need to stop lying to ourselves." Lois Gladstone (Chief Financial Officer) thinks that Gliebers Dresses needs to go in a different direction. "We need to either go get market share among baby boomers right now, or we need to seriously think about what kind of company we want to be in five years. We don't exactly focus on strategic long-term planning around here." Meredith Thompson (Chief Merchandising Officer) believes that Gliebers Dresses is poised to surge. "I read that 50% of all searches in 2020 will be voice searches. To me, this boils down to a marketing issue. The Porters Catalog died because it didn't keep up with the times. In our case, we're poised for success because we are a strong online brand. We send out those email blasts with 40% off, and those things really work well! All we have to do is keep mailing catalogs, and the catalogs provide the exhaust for the online channels to work well, and those online channels then fuel social media, and social media fuels mobile engagement, and mobile engagement leads to voice search, and voice search is the future. See how that works? We'll be fine." Meredith's comments are telling. All of us hear this style of logic ... a seductive logic ... lizard logic. We believe we're a modern brand because we can connect nine unrelated dots that point to a vision of the future sold to us in a thought leadership piece on Linkedin. Gliebers Dresses Management feel confident they are nowhere close to closing down. I asked Management another question ... "Have you ever thought about selling to a Catalog Holding Company?" Roger Morgan (COO): I haven't read a single report from Woodside Research addressing the topic, so I don't think that's something we want to do. Pepper Morgan-Pressley (CMO): Those folks homogenize the whole enterprise. We wouldn't have a unique marketing team. I don't need a bean counter in a corporate office telling me what is right for the brand I manage. Pretty soon we'd be absorbed and selling Boston Proper merchandise. Tell me how that's a good thing? Lois Gladstone (CFO): I think about it every day. We could fetch between $20,000,000 and $40,000,000. We're the dumbest company in America to not go do this right now before the wheels come off of the bus. Meredith Thompson (Chief Merchandising Officer): I'm not fielding any more questions from you. What do you think this company should do? Join us on April 5 to dig into this discussion (click here).